I’m not a fan of loopholes in the tax code. I’ve complained about the number of pages in the tax code, the number of provisions in the tax code, and I’ve even groused about the rising number of pages in the instruction manual for the 1040 tax form. And I’ve specifically come out against tax preferences for ethanol, housing, municipal bonds, charity, and state and local taxes. But just as you don’t necessarily know whether someone is tall or short without knowing the average height of a population, you can’t automatically identify loopholes without first defining an ideal tax system. In other words, you need a benchmark (referred to as “the tax base” or “taxable income”) in order to measure what’s a loophole. Unfortunately, that’s not an easy task because there are two competing visions of the ideal benchmark. I’ve addressed this issue previously, in this post on the “tax expenditure con job,” but let’s dig into the weeds a bit. Those on the left, including the Joint Committee on Taxation, use what is sometimes called the “Haig-Simons” definition of a tax base. Also known as the “comprehensive income tax base,” this system assumes that there should be double taxation of income that is saved and invested (as shown by this startling chart). Another way of saying this is that the Haig-Simons approach assumes the government should tax income plus changes in the value of assets. Moreover, the Haig-Simons system assumes “worldwide taxation” and that businesses can’t deduct investment costs as they occur. Those on the right, by contrast, support what is generally called “consumption-based” taxation. This doesn’t mean a tax collected at the cash register (though a national sales tax is an example of a tax with a “consumption base”). Instead, it simply refers to a system where income is taxed only one time. So, for example, a flat tax is a consumption-base tax since income is taxed only one time as it is earned, just as a national sales tax is a consumption-base tax since income is taxed only one time as it is spent. Moreover, a consumption-base system assumes “territorial taxation” and that business expenses should be deductible in the year the money changes hands. While some features of the tax code – such as the healthcare exclusion – are loopholes according to both the Haig-Simons system and the consumption-base system, you get a divergence of opinion in key areas. a) In a consumption-base world, there’s no double taxation and the capital gains tax therefore doesn’t exist. But from the perspective of the Haig-Simons tax base, the fact that capital gains are taxed at 23.8 percent instead of 39.6 percent is characterized as a loophole. b) In a consumption-base world, there’s no double taxation and all savings gets the equivalent of IRA or 401(k) treatment. But from the perspective of Haig-Simons tax base, IRAs and 401(k)s are loopholes. c) In a consumption-base world, there’s territorial taxation and no attempt to impose tax on income earned (and subject to tax) in other countries. But the Haig-Simons tax base assumes “worldwide taxation,” which means that “deferral” is a loophole rather than a way of mitigating a discriminatory penalty. So why am I getting into boring details on this wonky issue? In part, because it helps people understand that tax reform is not just a matter of having a low tax rate. It’s also very important to define income correctly. But I also think some background knowledge is necessary to explain why the White House is blowing smoke when they relentlessly demagogue against “corporate jets” as part of their never-ending campaign for class-warfare tax policy. Let’s examine some excerpts from an ABC News report. Listening to the White House, you’d think the key to averting the across-the-board spending cuts (the dreaded “sequester”) set to in place on March 1 is closing the tax break for owners of private jets. …Carney has brought up the corporate jet tax break at every single briefing this week. Listening to the White House, you might think that the “balanced” Democratic plan to avert the spending cuts would close that loophole for private jets. But you would be wrong. The Senate Democratic plan – which has been endorsed by the White House and is, in fact, the only Democratic plan actively under consideration right now – doesn’t touch corporate jets. …The tax break…allows the owners of private jets to depreciate their airplanes over five years instead of the standard seven years for commercial airplanes. I don’t want you to focus on the demagoguery or the potential hypocrisy. Instead, consider the final sentence of the excerpt. It turns out that the supposed “loophole” is really a penalty from a consumption-base perspective. 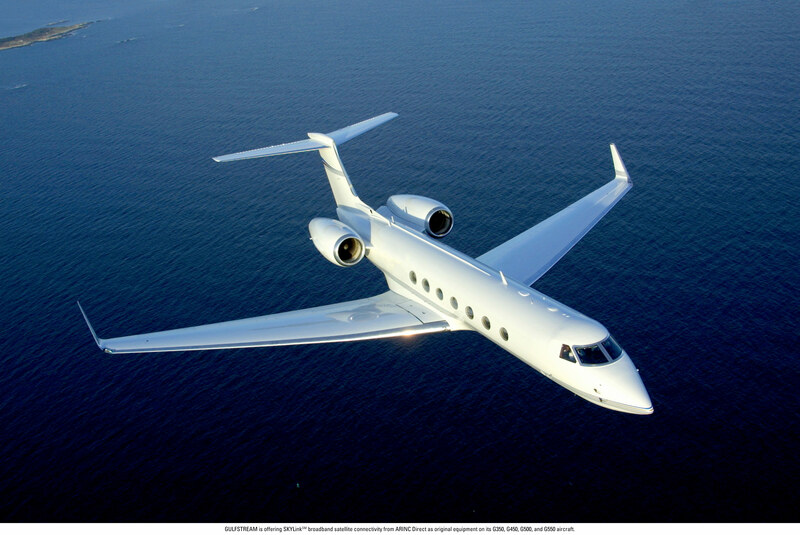 If a company purchases a jet for $20 million, they should be able to deduct – or expense – that $20 million when calculating that year’s taxable income (after all, what is profit other than total revenue minus total costs?). But today’s screwy tax code forces them to wait five years before fully deducting the cost of the jet (a process known as depreciation). Given that money today has more value than money in the future, this is a penalty that creates a tax bias against investment (the tax code also requires depreciation for purchases of machines, structures, and other forms of investment). Anyhow, because the tax bias imposes a five-year wait rather than a seven-year wait, the Obama White House would like us to believe that companies are getting some sort of egregious loophole. Nonsense. In a good tax regime, companies should be able to deduct expenses in the year they are incurred. The fact that they have to wait five years is a penalty. But the White House wants us to perceive this penalty as a loophole or subsidy because it could be even more onerous. By the way, if we’re worried about actual subsidies that benefit corporate jets, Tim Carney’s already explained that we should focus on the cronyists at the Export-Import Bank. And I heartily agree. P.S. Defining the right “tax base” doesn’t imply anything about tax rates. You can have a so-called progressive rate structure or a single rate with either the Haig-Simons system or a consumption-base system. A majority of US citizens — citizens of another republic they are fast turning into yet another pitchfork democracy — just don’t like the whole mentality of corporate jets. Therefore, anything that curtails that practice, taxes, regulation, laws is fair game. In the braver world of ever more collectivized economic management, and decline, the US is moving in, companies are no longer free to dynamically experiment to see if corporate jets perhaps do increase motivation and efficiency after all. The public has decided what the efficient worldwide market leader company is like, and corporate jets are just not part of it. Hopefully, the reality of human dynamics and productivity agrees with the imposed harmonized and homogenized economic wisdom of the fifty five percent. So for a public majority, it myopically seems like a win win game: ” We tax an activity we don’t like and either we curtail it, or it survives and we can all make some living off it”. The end result is HopNChange and copy Europe into irreversible decline. Dan – You are excellent at outlining the specific problems in Washington and America in general for that you should get an award! But our country is still on the wrong road, the one to serfdom not the improvement to capitalism, so the elections are over we are stuck with Obama, how do we change his course of action and activities? I am so disgusted with our government I am going to abandon the Republican party after 60 years of dedicated membership and will register soon as an Independent. But that alone and voting (2014) is too far away, what can we do today to stop the decline of the American way of life we grew up with? Congress is too weak to say no to these intrusions and the senate is in his back pocket. What actions at the grassroots level can we take to change things? I’m fed up with our government and the liberal/progressive/socialist trends it is fomenting! Also, taxing based on depreciation requires huge amounts of record-keeping and calculation. Instead of just saying, “Okay, we spent such-and-such dollars this year on new equipment” and filling in the blank, you have to divide it into categories based on the government’s required depreciation schedule, and then keep those records for the entire depreciation period. And what does this gain? Eventually you will fully depreciate the asset. So all it does is mean that you give the government a little more this year and a little less next year. Frankly, I’d prefer if they’d just reduce the tax deduction for depreciable assets by an amount that would factor in the net present value of the money. Like, instead of deducting 100% the year you buy it (the rational system), or 20% this year, 18% next year, 15% the following year, etc (or whatever crazy amounts the depreciation formula requires), why not say you can deduct 90% this year and the remaining 10% is forever forfeited? The net effect would be similar, and it would be a whole lot less paperwork and calculation. Here is a great blog about taxation. And it covers what is tax and what is political bias about taxes. It also covers tax deductions. Too much Obama Baloney and not enough common sense tax reform. When will he stop demagoguing the issue and initiate reform?